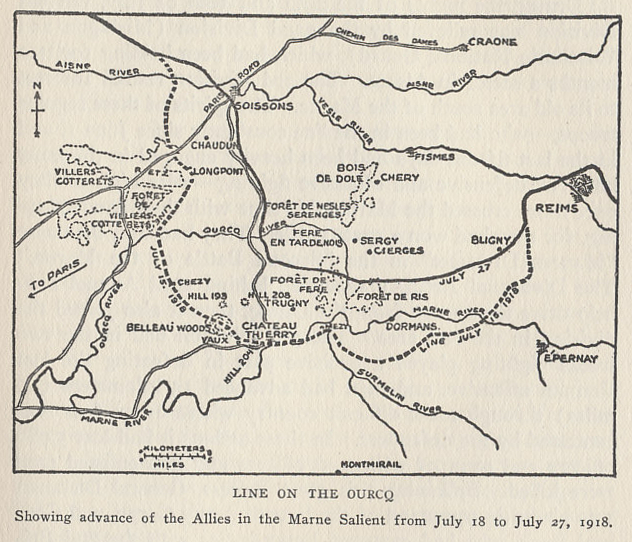 Line on the Ourcq showing advance of the Allies in the Marne Salient from July 18 to July 27, 1918. 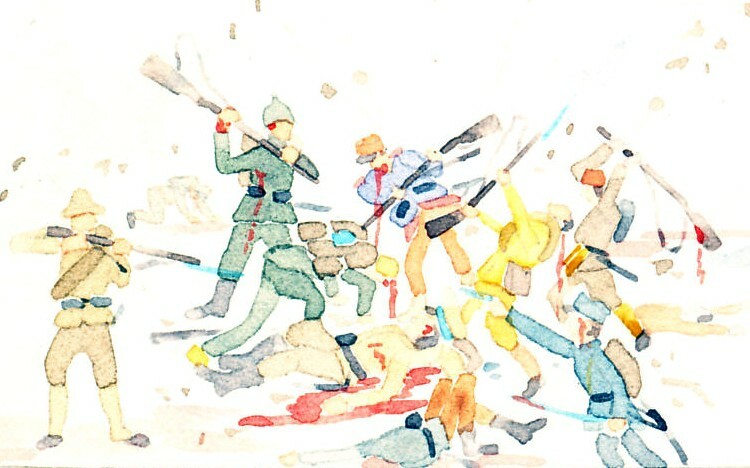 From The History of The A.E.F. by Shipley Thomas. 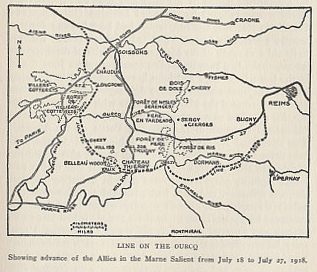 Line on the Ourcq showing advance of the Allies in the Marne Salient from July 18 to July 27, 1918.